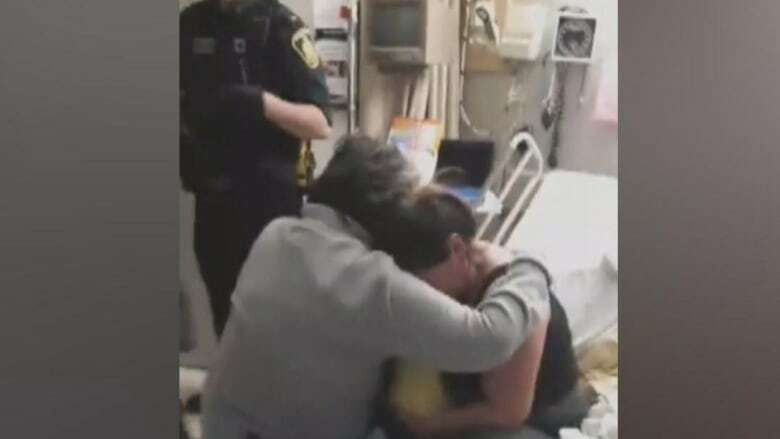 You may have seen images this week a fraught encounter in a Winnipeg hospital. Did you share them? In a world saturated with powerful, painful, personal images, we look at how we bear witness, and what to consider before you hit "share." After a video of a newborn baby being taken away from a mother went viral this week, one expert has a warning about the images we choose to share online. "This story's going to be out there on social media for this child's entire life," said Cindy Blackstock, executive director of the First Nations Child and Family Caring Society. "It's going to follow them through that. It may have unintended consequences that you're not thinking about right now," she told The Current's guest host Piya Chattopadhyay. Child protection workers, escorted by members of Winnipeg police, removed a two-day-old baby from her mother at St. Boniface General Hospital on Jan. 10. A family member filmed the apprehension and streamed it live on Facebook, where it was watched and shared tens of thousands of times. "We share these stories because we think there's going to be systemic change and the reality is, in far too many cases, there's not," said Blackstock, who is also a professor of social work at McGill University. The desire to raise awareness must be weighed against the child's safety, she said, adding an image shared thousands of times "begins to define us as a person — people relate to us in that particular tragic moment." While a picture may paint 1,000 words, Blackstock warns the truth may have 10,000 words to it, and a single image or video online may not show the full facts and context of a story. In a world saturated with powerful, painful, and personal images, we can put those images to better use, she suggested. "I want you to think about sharing that video with people in positions of authority, like the provincial child advocate of Manitoba, who can get access to all the facts and make sure that that child's dignity is respected," Blackstock said.